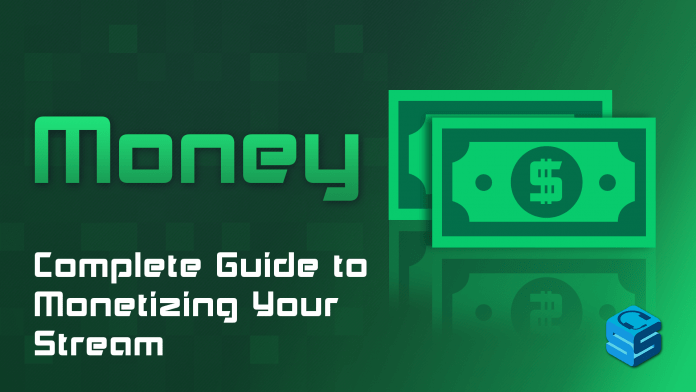 Let’s take a look at how content creators can monetize. The great news is that you have more options than ever. The unfortunate side effect of those options is you have so many more decisions to make! Here we’ll cover just about every way you can monetize your content. Hopefully, you all know what these are. It’s important to know that while it’s called a donation it’s technically a tip which means it’s taxable. There are a couple of different ways to get tipped but most people process it through PayPal. Tips are really easy to set up. All you need to do is to go PayPal, set up an account, and tie it to an alert service (like Streamlabs, Muxy, Tipeeestream). These are just to support you so it doesn’t come with any extra responsibilities unless you said otherwise. It’s totally up to you to offer incentives. This is a long standing way of helping out/rewarding streamers so there are services to integrate donations into your stream. The biggest con is the potential for chargebacks. Chargebacks occur when the person who made the tip claims they didn’t intend to or didn’t receive what they expected. It’s there to protect against fraudulent charges but unfortunately, it gets abused. The streamer usually pays the transaction cost. Payment processors charge for their services and PayPal charges 2.9% + 30 cents on every transaction. You as the person receiving the money are responsible for that charge. If you’re a Twitch Affiliate or Partner you can get revenue via bits, which is pretty sweet. Bits are Twitch’s digital currency and each bit is worth 1 cent. Since Twitch is the one who runs bits, you’ll see different and interesting integrations for bits. This is Twitch’s currency and Twitch’s way to get the payment processor’s slice of the pie. Twitch will do everything they can to promote bits which means you’ll get cooler features. They’ve already created badges, pinned messages, and animated notifications. Twitch occasionally runs special deals on purchasing bits. The donor pays the transaction cost which means more goes to the streamer. The transactional cut goes to Twitch which helps support the platform. There are no chargebacks! The only purpose for this currency is for supporting streamers so there’s no potential to claim that you didn’t get what you expected. This is a huge. Viewers can earn free bits by watching ads or completing surveys. Bits revenue shows on your Twitch dashboard along with any other Twitch revenue. This might be less relevant for now but if you become partnered it’s really convenient to have more of your income information in one spot. Since bits are through Twitch you only need to worry about one payout threshold if you do get partnered. Since the donor pays the cost it’s more expensive for them. This could potentially discourage someone from tipping as much. Twitch takes a slightly higher cut than other payment processors. Payouts can take a long time. Twitch’s standard payout time for Affiliates is 60 days and 45 days for partners. That means money you earned in January isn’t realistically available until April for Affiliates. You need to accrue $100 in Twitch revenue before you can initiate a payout. You must follow Twitch’s bits policy. Their actual policies are quite strict (see below). Many streaming platforms offer a way for viewers to subscribe to a channel for a monthly cost, with the streamer getting a portion of the revenue. It’s the “standard” way for people to support streamers. Subscribers get cool perks such as emoticons and a special chat badge. Getting lots of subscribers looks good for future partnership applications. You only get a portion of what the subscriber pays. You may have to commission an artist to help you with emotes. GameWisp’s goal is a sub button for everyone and they follow through on it. Their platform gives streamers an option to let people subscribe in up to six unique tiers each with a different cost and benefit. They’ve done a good job of integrating with various notification systems so they can pop up like subs or tips do. It’s a great subscription-like model for dedicated viewers. GameWisp does a good job of same-day support and seems to earnestly work to help their clients. They charge a flat $1 for each tier 1 subscription per month which means they’re taking significantly less than Twitch. However, they charge a dollar more per tier so tier 6 costs $6/sub. It’s up to you to appropriately set those tiers so you don’t get wrecked by fees. You have tons of customization options with six tiers. Also, you can offer extra benefits and incentives and easily track their delivery. GameWisp handles chargebacks for you. This was built specifically for streamers so it’s more closely aligned with what you need. Quick payouts. While you might not think 3-5 days is quick it really is in the payment processing world. Only a $25 payout threshold. Twitch has stated that strong GameWisp support can increase your chances of having your partnership application accepted. You show that you have a strong community. The lower your initial subscription levels, the higher the relative cost. With Twitch, the baseline sub is $5 but on GameWisp it can be lower. That means the $1/mo eats away more of what your sub pays. If you don’t set your tiers correctly you could be paying a significant amount to them. The service isn’t directly integrated with Twitch or whatever streaming platform you use, which means it’s more work for viewers to subscribe. It’s on you to figure out what makes sense for your audience and what may make for interesting rewards. Generally, you have to offer more for your higher tiers which takes up more of your time. Patreon is another platform for content creators to use to create custom subscriptions. While it’s not specifically for streamers, it’s a very common way to generate revenue outside your channel. They do monthly subscriptions and charge 5% of the amount billed. Sub tiers can start as low as $1/mo. Patreon is well established and well known. Your audience may be more familiar with it than other platforms. It can be easier to make offers through the platform that only go to people at the appropriate subscription tiers. You can set up goals that help encourage people to be patrons. It could potentially be more expensive since they charge a percent of the overall bill. For lower tiers, this actually makes it cheaper but for higher tiers, it’s expensive. While they disclose that they charge payout fees and they disclose the amount, they don’t track that information for you. That can make it a lot harder to accurately add up your business expenses! It’s not specifically designed for streamers so it’s unlikely they’ll put a high priority on streaming-related integrations. Like GameWisp, it’s on you to figure out what rewards your audience wants. While streaming sites like Twitch only offer subs limited benefits, that also reduces how many decisions you have to make. Affiliate sales are purchases where the vendor gives you some money for helping them sell their products. 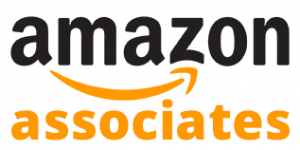 Amazon has one of the biggest affiliate programs but there are a bunch others. The idea here is that if there are certain things that you use that you think others might want, you can get a small commission for pointing them towards it. Overall, I think it’s a great way to potentially add a little bit of extra income without a ton of extra work. You can find gaming specific companies like SteelSeries or DesignByHumans for affiliate deals. It is fairly easy to set up affiliate programs. Most companies, Amazon included, do their best to make sure you can help sell people stuff from their site. Once you’re set up with them, all you need to do is add your link in a place that’s easy to access. Some websites will give you credit for all purchases on their site (sometimes for 24 hours!) if someone follows your link. This means they could jump to the site because of your monitor link and buy that plus ten other things with you getting credit for all of them. While each transaction can be small, if you get a lot of people buying through your affiliate link it can become a huge revenue source. A lot of people who do full-time blogging make a good living on affiliate income. It’s more or less a one-time setup. There may be changes in the offers or new offers might come in, but overall it’s not much work. If people aren’t interested in your streaming setup or you don’t have many viewers then you might not get any sales. You might get called a shill for trying to earn money off of these products. For some reason, people can be really against a streamer earning money from things besides subs and tips. Some companies have minimum sales requirements before they payout or they might decide to remove your account if your account doesn’t produce sales after some time. Sponsorships are where companies pay you to advertise their business or products on your stream. This could be something as simple as putting another panel on your stream or it could be an actual element in your overlay. It’s up to you to decide what’s right for your stream. Sponsorships can be very lucrative. A sponsorship from one company can also lead to sponsorships from other companies! You might get free stuff from the sponsor which you could use yourself or in a giveaway. Sponsorships can be hard to find. Additionally, they can be a lot of work to negotiate once you find a company interested in sponsoring you. Sponsorships can come with demands that you don’t want to meet. They might want prime real estate on your overlay or shoutouts during your stream. If your sponsorship contract calls for a certain minimum performance, you may need to stream when you might not normally. Sponsorships can disappear suddenly. The company could decide it’s not worth it, have another opportunity, or just go out of business. You don’t have a ton of control in that area. YouTube can be a great source of extra income and cross-discoverability if you upload interesting, well-edited videos. You earn revenue on YouTube through ads once you’ve reached a level where you’re able to monetize. There is really high upside potential. People make their entire careers with YouTube content. There’s good cross-discoverability with Twitch. If someone finds you on YouTube and loves your content they may also move over to Twitch. It takes a ton of work to make a good video. This isn’t like an affiliate where you only have to put in a little effort. You need to put in a lot over a long period of time to see anything. Unless you do really well there’s a low return on effort. Since it’s all ad-based, your views matter a ton. If you’re not getting views, you’re not getting income. Everyone knows about YouTube which means that there are a lot of people doing similar things to what you’re doing. 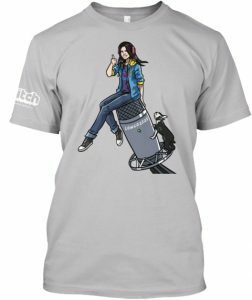 Shirts, hoodies, mugs, mousepads- your opportunities are endless! If your community is interested, merchandise can be a great way to earn some money as well as bring your community together. Companies like Design By Humans specialize in helping folks like you get their branding on merchandise. Cool extra stuff that you can sell to people who like you and identify with being a part of your community. It’s a win-win with you earning revenue and strengthening your community. Branded merchandise is phenomenal for giveaways. Can be a meaningful revenue stream if you have the volume. You aren’t the first to do it- there is a big infrastructure supporting branded merchandise. This makes it easier to actually accomplish. There is a lot of upfront work in getting merchandise created. Since you’re partnering with someone else to produce physical goods, you’ll get a smaller percentage of top line revenue. If you don’t have good volume then this isn’t really a great revenue source. Some merchandisers (reasonably) have minimums you have to meet. Is there something you’re great at that you could offer to the rest of the world? Some people help others with their stream presentation, some are great at art or video editing, some are experts at a competitive game. Heck, this is what Twitch Creative does! Your stream could serve as a great example to show that you know what you’re doing. Get creative, this is a space where you have a ton of opportunity to craft your own monetization strategy. If you stream yourself painting but can then sell that painting to someone who just watched you – awesome! If you’re baking cakes and someone decides they want to now use your local shop for a wedding cake – awesome! Depending on what you offer, you can get a great hourly or project rate. If your service aligns with your stream it can be a great way to get extra attention on your stream. For instance, if you’re an emote designer you could do the design live on stream. It can be a great chance to meet other content creators. It’s not easy to find gigs unless you’re well known for your work. It can be hard to build a good reputation. Enough people have been scammed by coaches or artists that, in general, people are wary of new folks. You need to find what works for you. There are a ton of opportunities to monetize your stream but not all of them might make sense for you. Also, for a lot of these, you should expect to put in a ton more work on top of what you already do for your stream unless your stream is large enough that people come to you. The most important note, however, is that you can do this. Over time, the more revenue sources you build, the more robust your stream will be. If you eventually do decide to go full time you can be more confident in your decision since you’ve reduced the hit that losing any one revenue source would have on you. Diversification is good! Also, don’t forget that most of this comes as you build your stream and viewership, not before then. It’s great to keep these options in mind and to work on them but the most important thing you can do is work on your stream itself. As you create great content, you’ll find that all of these become easier and more lucrative. If you’ve got something that’s not on this list that you want me to look at, leave a comment! I always want to find more ways to help out streamers with their finances.